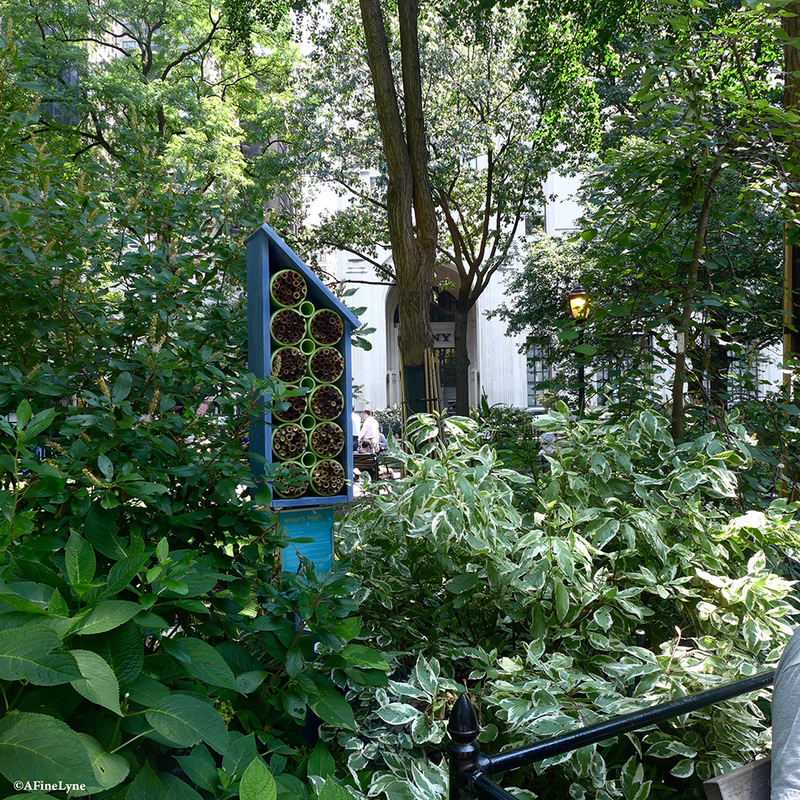 Madison Square Park is now home to five new Bee Hives! 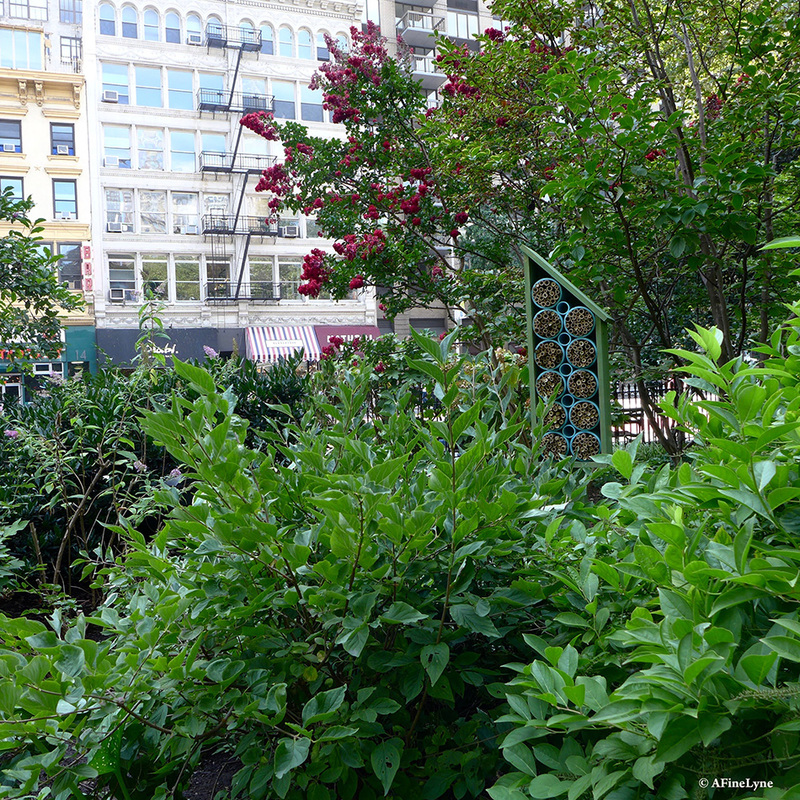 The newest members of the Madison Square Park garden don’t yet appear on the website, and most park-goers aren’t yet aware of their presence. But if you look closely along the east and west sides of the park, you will find the open-faced wooden structures. We were fortunate to get a tour of each of the hives by park employee, Marvin Burgos. Most of the hives are visible from the walkways, and all but one are already inhabited. This is a new and exciting project for the park, and they aren’t yet sure how many more hives they will add. Each hive-house is clearly marked with signage that reads ~ What’s This? 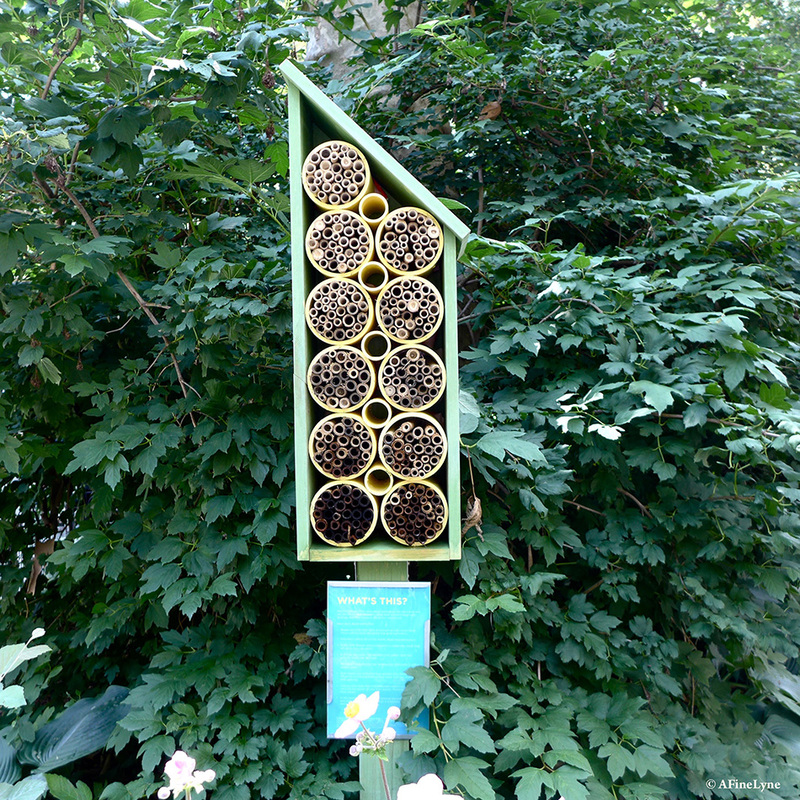 Well, Madison Square Park cares about pollinators, and they have built these homes to allow the bee’s to hatch their eggs, develop and form cocoons for winter hibernation. 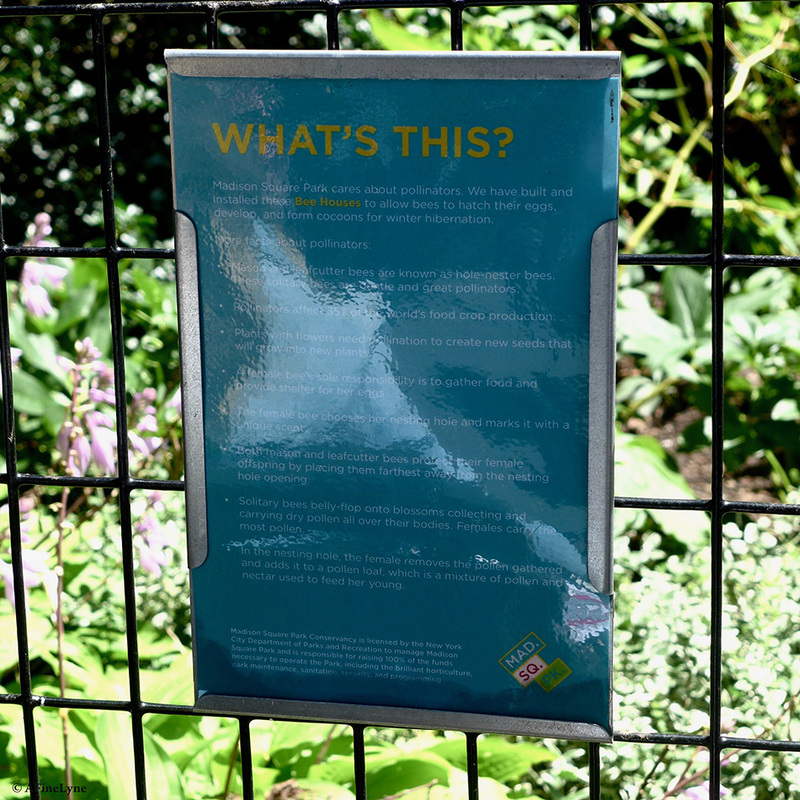 The signage lists the benefits of pollinators, and how they affect 35% of the world’s food crop production. 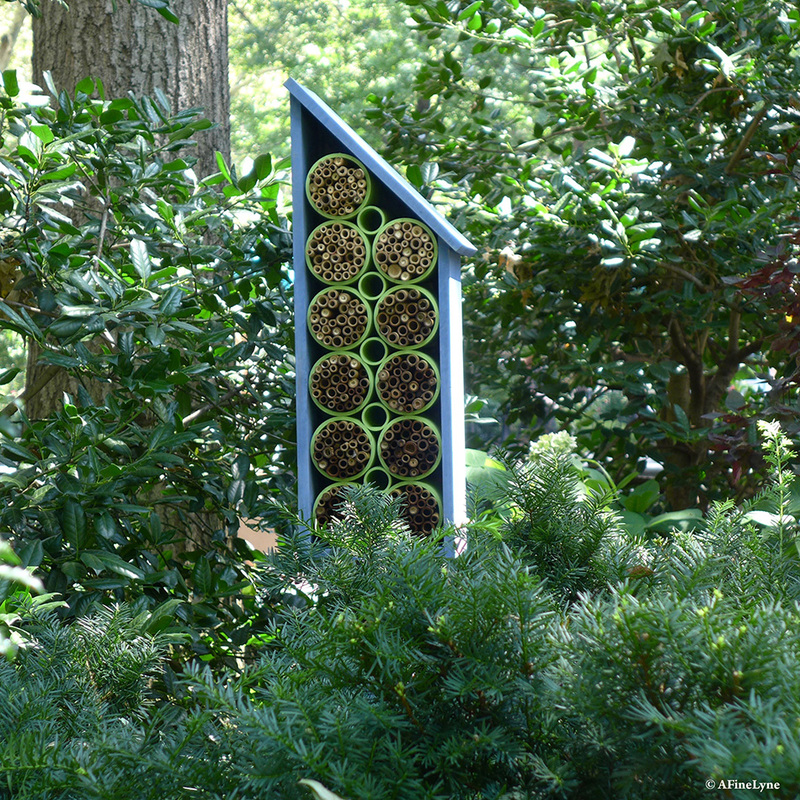 Since plants with flowers need pollination to create new seeds, the hives couldn’t be in a better place. If you look behind the hives, you might recognize where each hive-house is in the Park. Should we expect to see jars of honey from the Madison Square Park Conservancy come the Holiday’s? Educational Bee Hive Tours? We look forward to what these new inhabitants will do next. Madison Square Park borders Fifth Avenue and Madison Avenue, from 23rd to 26th Streets in the Flatiron District. Six beehives have taken up residence on the fifth floor, 16,000 square-foot rooftop – each queen bee with her own name – Ruby, Beatrice, Shelby, Suite B, and Connie (after Conrad Hilton), about 450,000 honeybees in all. 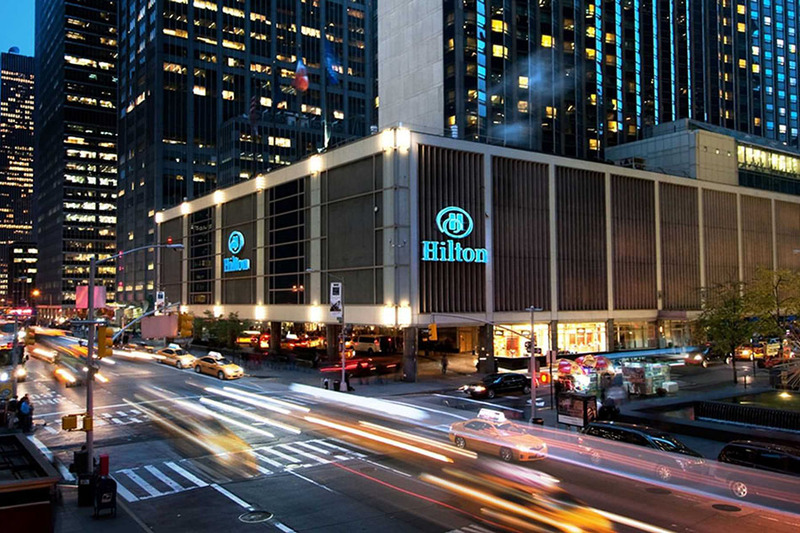 The hotel is just a few blocks from Central Park, where the bees will have more than 800 acres of green space to roam. The bees will provide the hotel with hundreds of pounds of honey (about 300 pounds annually) that will be used in their restaurant, in cocktails, and for signature spa treatments. 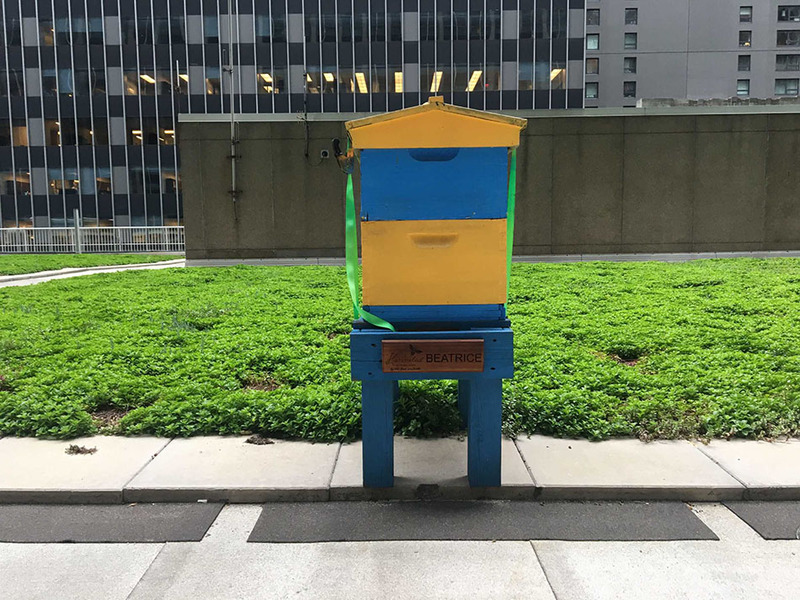 The Hilton Hives will be maintained by renowned beekeeper, Andrew Cote, who maintained the beehives as the Waldorf Astoria hotel before they closed. We can’t do a post about beehives without mentioning our favorite hive, which was an art installation at MoMA during the summer of 2015. 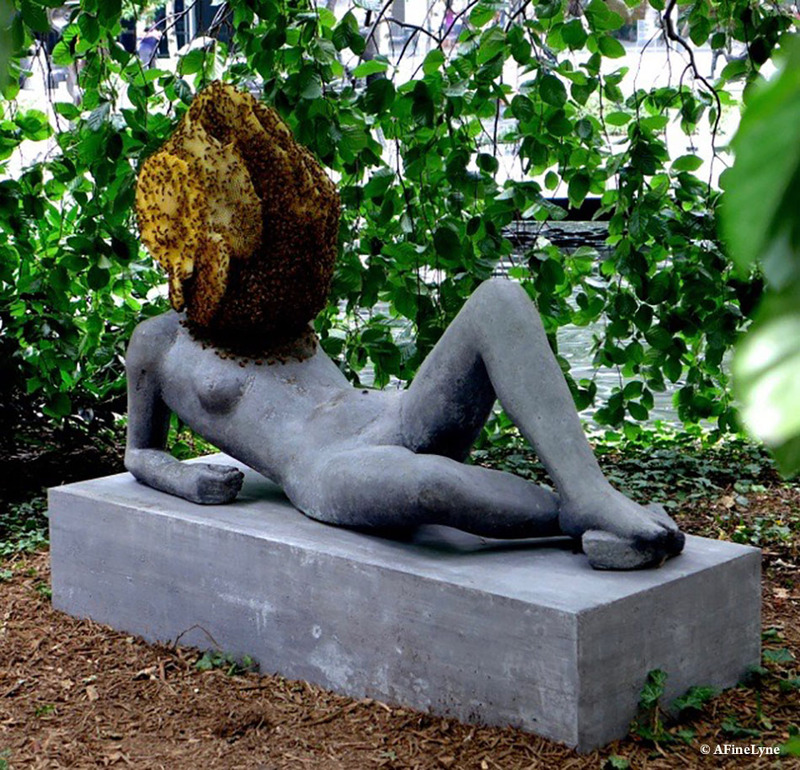 Created by the artist, Pierre Huyghe, it was Pierre Huyghe’s Untilled (Liegender Frauenakt), also overseen by Andrew Cote. Very Cool stuff! Thanks for sharing this link!